Almost every year, there’s a couple of big award-bait movies that most people agree are really good, even though their lack of explosions make them a little boring. As nobody could’ve possibly predicted, that movie this year is Mad Max: Fury Road, even though instead of most people agreeing that it’s “really good,” everyone agrees that it’s “super kickass.” Also, instead of being dragged down by its lack of explosions, it has a healthy amount of explosions. Other than that, though, it’s basically Boyhood. 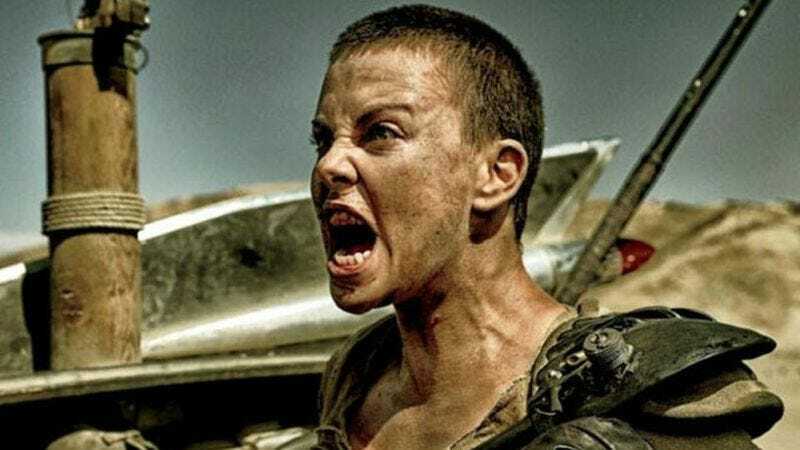 Now, The Broadcast Film Critics Association and Broadcast Television Journalists Association have announced the nominees for their Critics’ Choice Awards, and it looks like they were sufficiently impressed with Fury Road’s number of explosions, giving it 13 nominations—including Best Picture, Best Director, Best Actress, Best Sci-Fi/Horror Movie, and Best Action Movie. The Revenant, The Martian, and Carol each received eight nominations, and they all join The Big Short, Bridge Of Spies, Brooklyn, Room, Sicario, and Spotlight in the Best Picture category. On the TV side, Fargo received eight nominations (a ton of which were for acting), The Leftovers and Transparent got six, and NBC’s recent live presentation of The Wiz! managed to get four.